We are Stefano and Andrea, two fifty years old brothers from Romagna, who, together with our wives, grandparents and children, manage the Faro Hotel. We believe, according to tradition, that our guest is “a friend who has to leave the hotel totally satisfied”. Our small hotel has 26 rooms and it was born and has grown up on the family homestead owned by our grandparents. This is why honesty, simplicity and authenticity are enduring and distinctive characteristics of our service, which has an agricultural feeling. 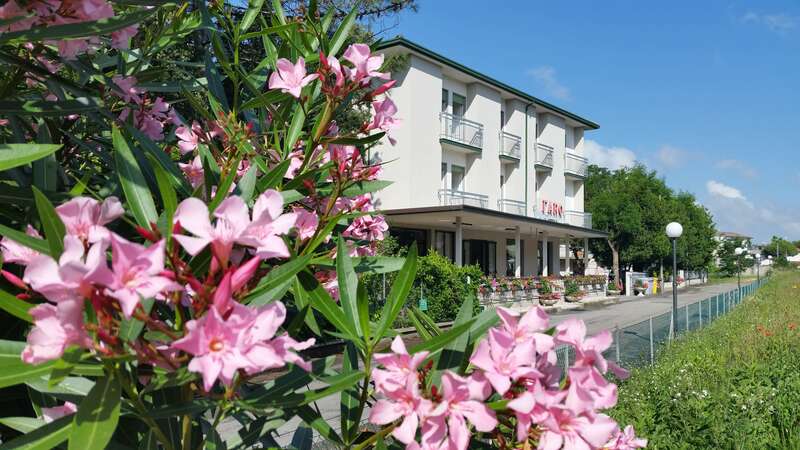 Welcome to the Hotel Faro in Bellaria! Bellaria is a friendly town perfect for spending your family holidays, where everyone can relax and find their balance. 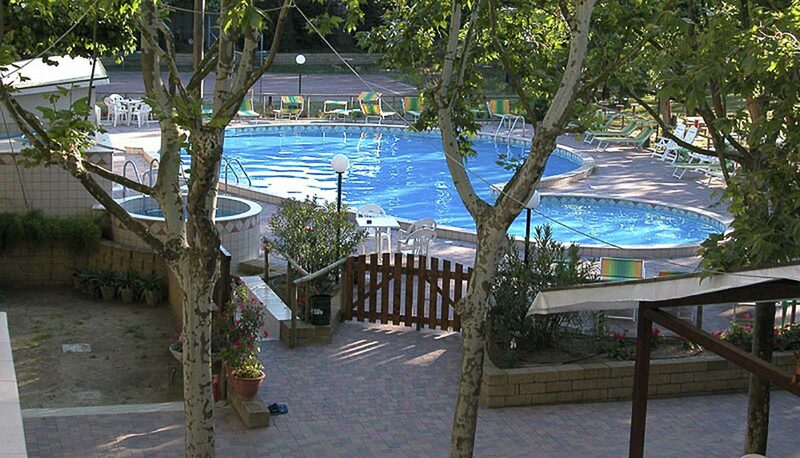 Our two-star hotel is situated between Bellaria and San Mauro Mare. The atmosphere at the Hotel Faro is very friendly and dynamic, characterised by a passion for health and sport. 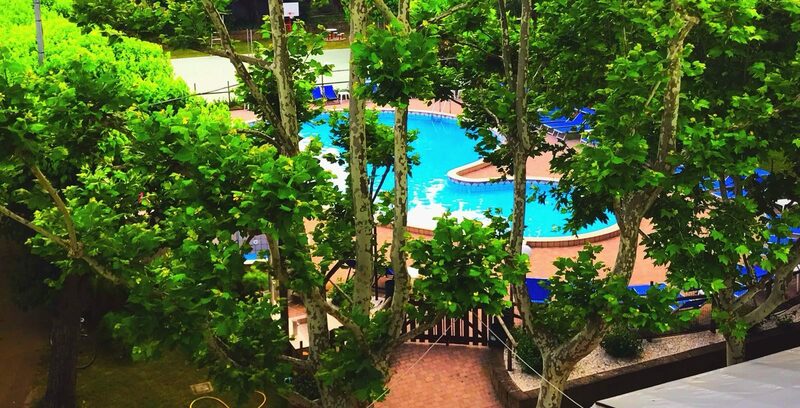 Our hotel is located in a safe area, with a private sheltered parking space, surrounded by nature and far from the city traffic; here you will feel like you are in the countryside! Our two-star structure has a large swimming pool and hot tub facilities, in addition to proving easy access to the equipped beach nearby. The Hotel Faro combines the traditional cuisine from Romagna, which is characterised by delicious and generous portions with a young and lively service that also takes care of the café, bar, sport and entertaining facilities. You will have the opportunity to relax in a lovely atmosphere, spending time outside in the native trees’s shade (such as mulberry, robinia, oak, pine, laurel oak), with the buzzing of busy bees and the tweeting of birds around you. Our name has deep roots in the local tradition. Fishing is the activity that has been passed down from one generation to another in Bellaria and the lighthouse, in Italian ’Faro’, was the light and sound that would take the fishermen home to their families. This is the reason why we want to be the ‘Faro’ for your holidays, a place where you can enjoy the time with your family and let us look after you. We look forward to welcoming you at the Faro Hotel!